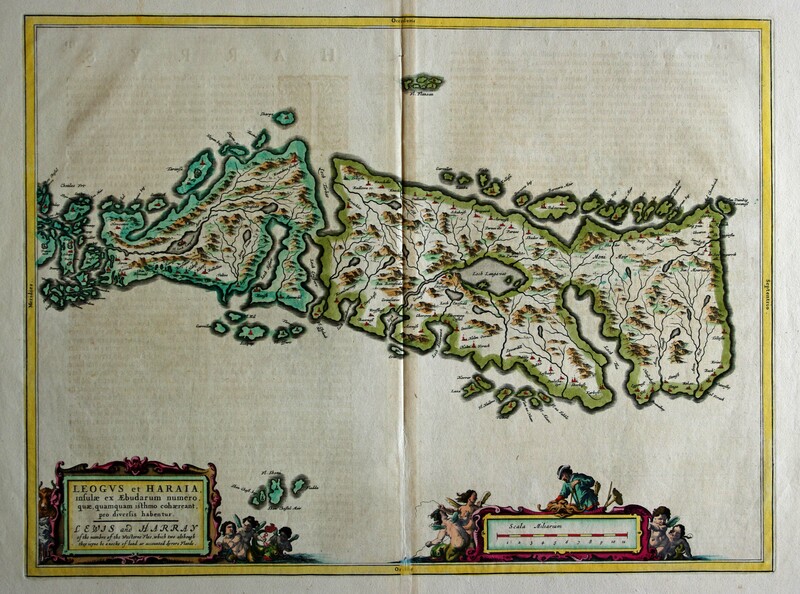 Blaeu's map of Lewis, Latin text. Condition&colon; Very good condition. Repair to centrefold & repaired marginal tear. Wormhole?